Will Nissan Sunny replace Maruti or Toyota Etios? 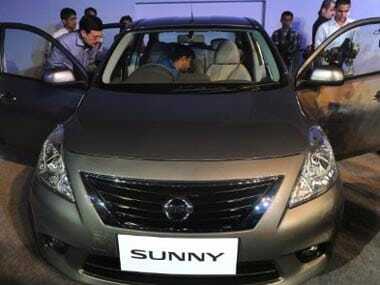 Nissan, the Japanese automobile manufacturer's Indian subsidiary on Tuesday launched its sedan car Sunny priced between Rs.5.75 lakh and Rs.7.68 lakh (ex-showroom). 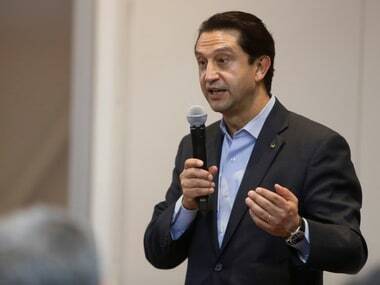 Nissan has been using the name Sunny for 45 years now, since 1965. Nine generations of the car have carried the name all over the world. The 10th generation of Sunny sedan is based on the Nissan V platform and as such is basically the Nissan Tiida with a boot attached to it, but unlike the Swift Dzire, the integration of the boot is done seamlessly to give it proper sedan proportions. The Sunny is longer, wider and looks nothing like a hatchback. The front has a prominent chrome rim grill with a badge of Nissan. The sloping roofline runs all the way back to the boot. The tailline makes the car look like Teana from certain angles. Prospective buyers will be spoilt for choice, with six different colours and three trim levels. Sunny is extremely spacious with huge leg and knee room, and that is the USP of the car. The newly launched Nissan Sunny has enough to take on Maruti and Toyota, but the question is will it? Although Nissan Sunny shares certain elements of its cabin with Micra, there are certain innovative features too. The climate control unit is borrowed from the Micra, however, the Sunny has a separate instrument cluster and a separate rear AC blower. Nissan Sunny is a very light car weighing even less than a ton. Nissan claims a mileage of 16.5 km/litre which should also translate to pretty good numbers in real world conditions. According to critics, the car lacks a sporty edge. When the speed is increased, the person who drives it may feel a little disconnected. Watch Video: Red Bull racing boss on the Indian Grand Prix, this weeks hot new launch the new Nissan Sunny driven in Chennai, your queries on Auto Selector and a quick drive of the Diesel Toyota Etios and Liva and Our Overdrive contest winners get behind the wheel of the new Audi A6. 1Will Nissan Sunny replace Maruti or Toyota Etios?